Seatruck Ferries, the Irish Sea freight specialist, have increased capacity and sailing frequency on their Dublin to Liverpool route. The smallest vessel on the route the Clipper Ranger, has been replaced by a larger P series vessel offering almost twice the capacity. At the same time additional Friday sailings have been introduced meaning that Seatruck now operate 44 sailings per week on what is their busiest Irish Sea service. 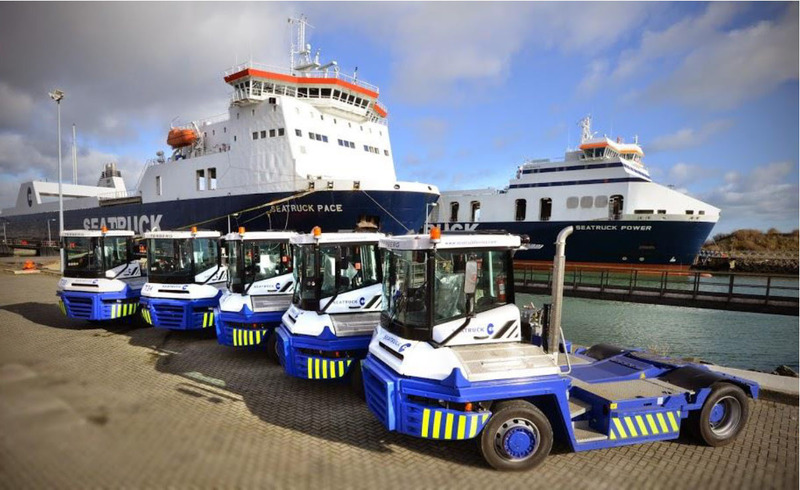 The introduction of the larger vessel is the next stage in Seatruck Ferries’ strategic development plan, with the company now operating 78 departures per week across 3 key routes on the Irish Sea. "The recent vessel changes in Warrenpoint have allowed us to cascade additional modern tonnage onto our fast-growing Dublin – Liverpool route. The P series vessel is larger, faster and will improve schedule reliability in inclement weather. We are seeing unprecedented demand for unaccompanied trailer shipments across our network and with the driver shortage worsening we see this trend continuing. By switching to unaccompanied shipments our customers can ensure that they are using their resources in the most efficient way possible. The Dublin Liverpool route is now serviced by a modern fleet of purpose-built vessels offering unrivalled service for trailer operators with 4 midweek sailings per day in each direction."